ECA Best of Sustainability: Research, theory and practice by Elliott, Edwards, Davis and Cutter-MacKenzie collates a range of key articles focusing on sustainability from past editions of the Australasian Journal of Early Childhood and Every Child. 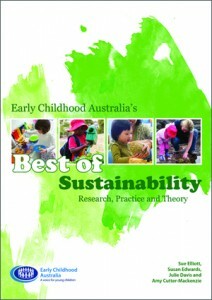 ECA Best of Sustainability: Research, theory and practice by Elliott, Edwards, Davis and Cutter-MacKenzie collates a range of key articles focusing on sustainability from past editions of the Australasian Journal of Early Childhood and Every Child. 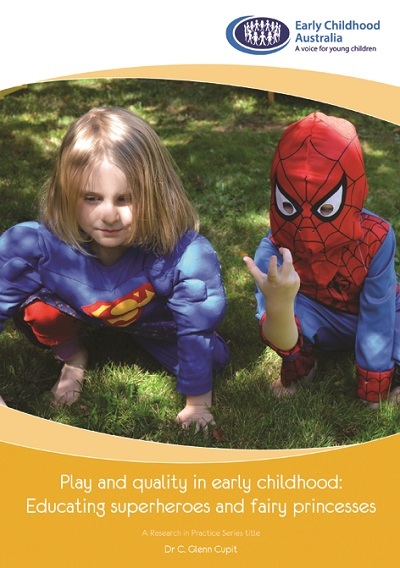 Sustainable service operation and promoting children’s responsibility and care for the environment are now part of the National Quality Standards and more importantly, all early childhood services must engage with sustainability in this time of increasing global environmental concerns.